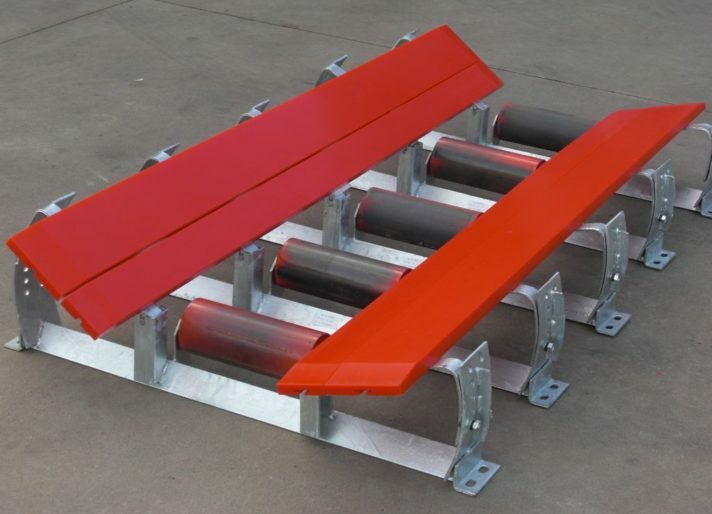 Similar in design to the K-Sure® Belt Support System from Kinder Australia, the K-Sure® Drop Down Transfer Point does not have the low friction polymer outer wing sliders and so drops down for fast access to the actual conveyor belt. 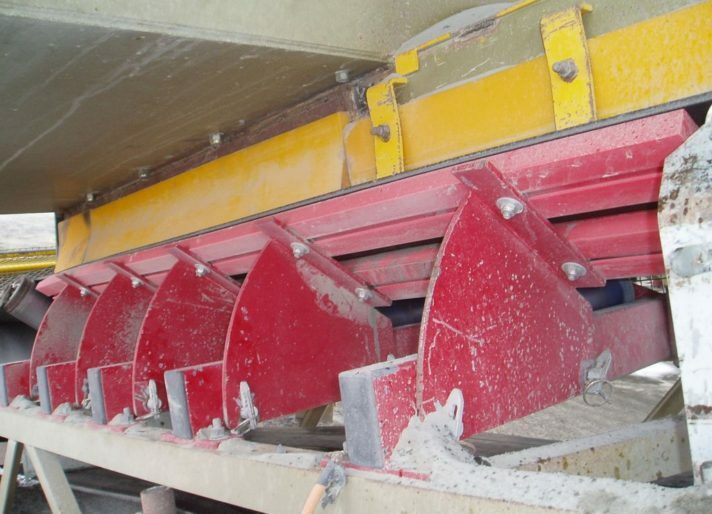 Its main function is to allow a blocked chute to be cleared without the removal of idler frames. 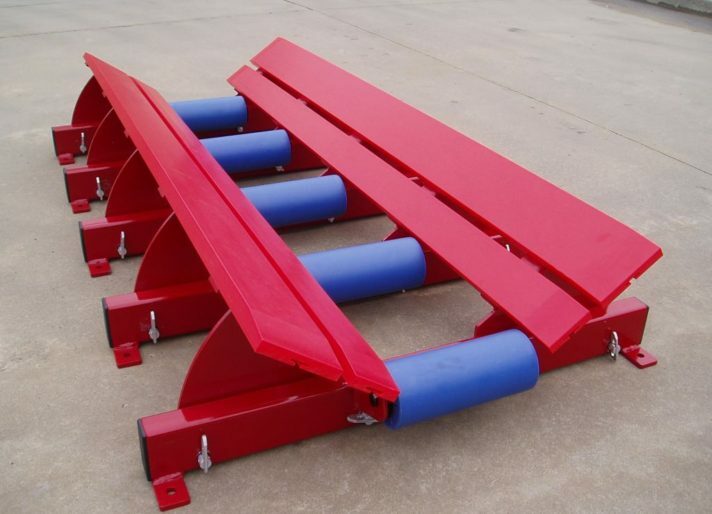 The assembly provides continuous support under the belt edges therefore eliminating belt edge sag. The purpose built transom retains the centre roller. Available to suit all belt widths and transom configurations.